Can Novacool UEF Foam be used with my existing proportioning system? What about Compressed Air Foam Systems? Yes. 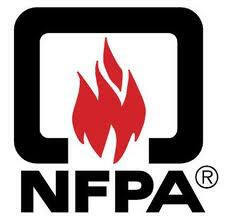 Novacool Foam carries UL listing under the NFPA 18, 2006 edition and contains no ingredients that will harm your existing foam equipment. Many departments are currently using Novacool UEF Foam in place of typical “Class A & B” foams as their additive source for compressed air foam systems (CAFS). Does Novacool UEF Foam leave sticky residue or any other hazardous bi-products? No, Novacool Foam is fully biodegradable, non-corrosive, non-toxic and will not gel. Can I mix Novacool UEF Foam with other foam products? Novacool Foam has been mixed with many other types of foam and no adverse reactions have been noted such as congealing or drying out. Novacool Foam will not cause any concentrate to de-foam, including AR type. Can I batch mix Novacool UEF Foam directly into the tank of my truck? Yes, departments can place Novacool Foam directly into their tanks without any problems. Novacool Foam is usable with eductors, injectors, CAFS, or batch mixed; it’s non-corrosive and has no adverse effects on tanks pumps, valves, or portioning equipment. Batch mixing is particularly necessary for departments that have older trucks or smaller brush trucks that may not have foam-proportioning systems. Novacool UEF Foamis applied at 0.5%. A 500-gallon tank of water only requires 2.5 gallons of Novacool Foam. A brush truck with a 250 gallon tank only needs to carry one (1) five gallon bucket of Novacool Foam. This one gallon bucket will treat 5 tanks of water at 0.4%. 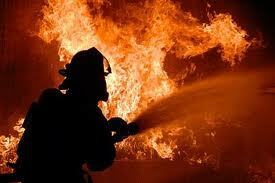 Novacool Foam can be used all the way down to 0.2% for certain class A fires and still be effective. Will this void my warranty on my new engine or truck? No, Novacool UEF Foam is UL listed and certified to N.F.P. A. 18, 2006. In general manufacturers design their tanks to accommodate foams certified to these standards. Do I need to have foam eductors to use Novacool UEF Foam? No, in the absence of a foam proportioning system, using a foam eductor is optimal. However, as stated above Novacool Foam can be mixed directly into the tank or used through a foam proportioning system. However, if added Novacool Foam directly to the tank we recommend some agitation to ensure adequate dilution. Is Novacool UEF Foam toxic or corrosive? Do I need to worry about it fading my paint, or damaging my equipment? No. Novacool Foam contains no harsh detergents, or other ingredients that will damage the environment. Novacool Foam does not have adverse effects on the truck or the property you are protecting. Is Novacool UEF Foam harmful to the environment? No. Novacool UEF Foam is non-toxic and biodegradable. Novacool Foam exceeds EPA guidelines and has been extensively tested. Novacool Foam contains no EPA or DOT reportable ingredients and does not contain any nonylphenolexthoxylates (Nape’s) or glycol ethers. Is there any special training that is required? Do I need to buy new nozzles or anything else? No, if you’re already using class A or B foam on a regular basis, then you are ready to go. The only training that is required is for the pump engineer who needs to know what percentage is required. Departments can use existing equipment, including nozzles, etc. There are, however, some techniques that will enhance the application of Novacool Foam, but these can be accomplished with existing equipment. Coming to Extinguish a Fire Near You!